Rüsselsheim. “Hey Jürgen, nice car, can I go for a test drive?,” Bettina Zimmermann asks her friend Jürgen Klopp. The wild ride in the Opel Grandland X over hill and dale begins – and the football coach who is normally never lost for words holds his breath. 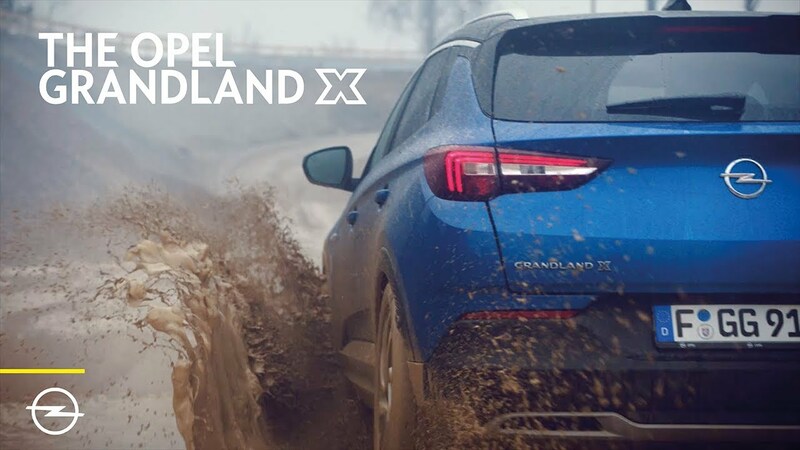 It is just loads of fun to take the wheel of the Opel Grandland X – and that comes across in the TV spot that is part of the Europe-wide 360° campaign for the Opel SUV models Grandland X, Crossland X and Mokka X starting in Germany today. “Sporty, elegant and very practical – these are our three top SUVs. Each one combines dynamic design with German precision and top innovations in its very own way. This creates real SUV feeling for everyone, and that is exactly what we show with our new Opel SUV campaign,” said Tobias Gubitz, Director Brand Strategy and Marketing Communications, Sales, Marketing & Aftersales. The Opel X trio guarantees driving fun. It’s a given that the three models are also extremely practical and spacious while offering top technology and comfort highlights such as Forward Collision Alert, LED headlamps and AGR e.V. (Campaign for Healthier Backs) certified ergonomic seats. Bettina Zimmermann really puts the IntelliGrip electronic traction system in the Grandland X to the test. The mud goes flying, the car stays solidly on track and the thrilled driver gets out of the dirty SUV in a great mood – leaving behind a dumbfounded Jürgen Klopp to get into her own squeaky-clean Grandland X. “We wanted spots as crisp and direct as the new Opel SUVs. And a Jürgen Klopp who, for once, is lost for words,” said Wolf Heumann, Managing Director Creation at the agency responsible for the campaign, Scholz & Friends, referring to the cheeky Opel Mokka X spot successfully shown on TV and the internet in the past. This time Bettina Zimmermann just turns the tables. The football coach is just as surprised in the second spot when he sees how much luggage the actor wants to put in her Opel Crossland X. Klopp is certain: “That’s never going to fit”. He’s right – the handbag goes to the front, but the rest disappears in the up to 1,255-litre loading space. This is the Opel Crossland X – with the 180-degree Rear View Camera and an impressive amount of space, the lifestyle crossover also stands for the Opel motto “The future is everyone’s”. But Opel is not only showing what it means to make innovative technologies accessible to everyone on TV. Over social media, the cross-media campaign addresses all users who want to know more about the various Opel SUVs. In addition, print ads and large-format posters with the X image will attract the public’s attention. And last but not least Opel dealers feature special individual offers.